After being forced to embrace UI support for iPhone X-style notches in Android P Developer Preview, Google might also copy Apple’s style of branding its software. As per recent change in the Android P preview, the tech giant might rebrand its Android Wear smartwatch operating system to ‘Wear OS’. The change first caught the eye of a Reddit user, H3x0n (too cool to be called simply Hexon), who while initially setting up an Android Wear smartwatch, came across unfamiliar name as well as icon for the smartwatch OS. The notification was generated by the “Nearby” feature of Google Play Services that identifies ready-to-pair devices in the close vicinity. The change comes about in version 12.4 of the Android Wear companion app which came along with the Android P Developer Preview. The new logo is, however, clear in the version 12.5 beta. 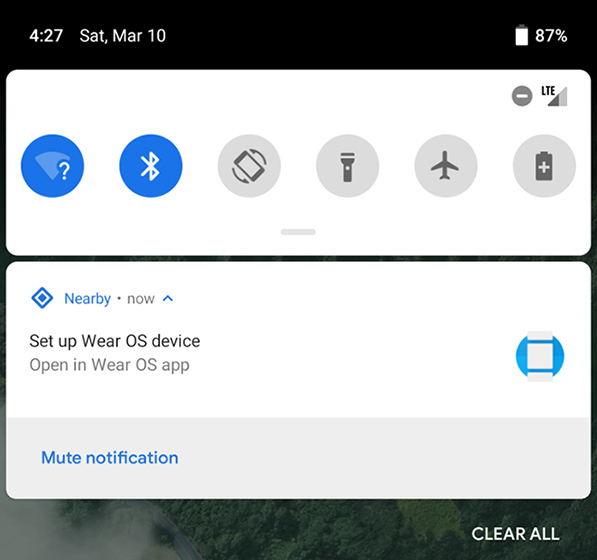 The updated icon is a “W” composed of straight bars and Google Assistant‘s dots which, as Android Police notes, hints at the possibility of a deeper integration of the Assistant in the OS. Unlike Apple’s nomenclature which clearly specified its relation to smartwatches, Google’s Wear OS gives rise to the speculation that the company might use the same or slightly modified version of the OS for all wearables instead of sticking to only smartwatches. Or perhaps the change is simply intended to ensure the Android branding does not put off those using the smartwatches with iPhones. So far, there is no solid explanation from Google, but we could see the change being made official at Google I/O. The branding change is the least of Android Wear’s worries. Recent IDC listings for the fourth quarter of 2017 highlighted that Android Wear was barely present among the top five smartwatch brands, a segment strongly dominated by Apple Watch. We will definitely hear more about it at the upcoming Google I/O conference scheduled for May.